Jimmy Yap - Angeline Suparto Law Corporation - A boutique law firm specialising in corporate and commercial law in Singapore, with a particular focus in cross-border transactions, especially into the Indonesian market. Jimmy graduated from the National University of Singapore in 1990. He was called to the Singapore Bar in 1991, and began his practice as a general litigation and corporate lawyer. Prior to joining Angeline Suparto Law Corporation as its Senior Consultant, he held the appointment of a Magistrate at the State Courts in 1996 for a year, and thereafter resumed practice with Colin Ng & Partners for several years till 2011. Thereafter he joined Changi Airports International, as their VP (Legal) for almost two years, overseeing all legal, corporate and compliance matters. His last role was with Boardroom Limited, advising several SGX listed companies on regulatory and corporate compliance matters. He is currently on the panel of Arbitrators with the Singapore International Arbitration Centre (SIAC) and also a Fellow at the Singapore Institute of Arbitrators (SIArb). In addition, he is on the panel of Arbitrators under the Law Society Arbitration Scheme, and an Associate Mediator under the Law Society Mediation Scheme. 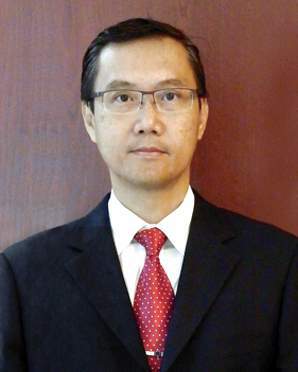 He is also an Accredited Adjudicator since 2006 with the Singapore Mediation Centre (SMC) where he adjudicates disputes under the Security of Payment (Building & Construction Industry) Act.